Kevin Wellman, Chief Executive Officer at CIPHE, discusses four of the pledges the Institute has made this year in order to champion professionalism and raise industry standards. Without a doubt, 2018 was a fantastic year for the CIPHE. The Institute accomplished many things including promoting continuing professional development (CPD) to help our members achieve their learning goals, championing apprenticeships and supporting the next generation of professionals, in addition to lobbying the Government in order to better protect the vulnerable. In short, we have a lot to be proud of. Now we are at the start of 2019, it is a great opportunity to lay down the foundations of what we hope will be another year to be ‘proud to be a professional’ – a campaign we started in 2016. It is no secret that the CIPHE has been making strides when it comes to innovative technical support and training opportunities for members. In 2018 we worked with Fabdec, Danfoss and Polypipe to launch a series of Virtual Reality (VR) and Augmented Reality (AR) technology CPD resources. VR and AR technology uses real 3D models to make technical training and learning about installation best practice feel as realistic as possible by making use of 3D environments. In 2019, we’ll be carrying on this great work by partnering with Salamander Pumps and Worcester Bosch to create even more VR and AR training. A huge amount of work last year took place to engage with our Industrial Associate (IA) members and encourage participation in events like the quarterly Development Group meetings to ensure everyone’s voice is heard. As an Institute, we have been particularly keen to highlight how leading manufacturing brands and merchants can help shape the future of the plumbing, bathroom and heating industries. In addition, we have reported on the Government’s Industrial Strategy and other consultation documents. On the whole, our discussions have centred on the role IA members have to play, especially when it comes to the provision of better-quality training and support for installers. Opening up conversations right across the supply chain to ensure that compliant products and the fight against counterfeits also remains key in 2019. With great pride we will continue to lobby for better standards in order to create an environment in which the public will benefit from a protected environment and enhanced sustainability, together with improved safety and health through the provision of correctly installed, commissioned, maintained and decommissioned plumbing and heating systems. In 2018, we spoke out about the issue of non-compliant parts with government, and also launched our ‘Love your local lav’ campaign to help highlight the demise of public toilets. In 2019, we will continue to raise awareness of important issues. The CIPHE will continue to put out both trade and consumer communications, in conjunction with other like-minded organisations, on issues which affect the public, such as: fuel poverty, scalding, carbon monoxide poisoning and legionella. 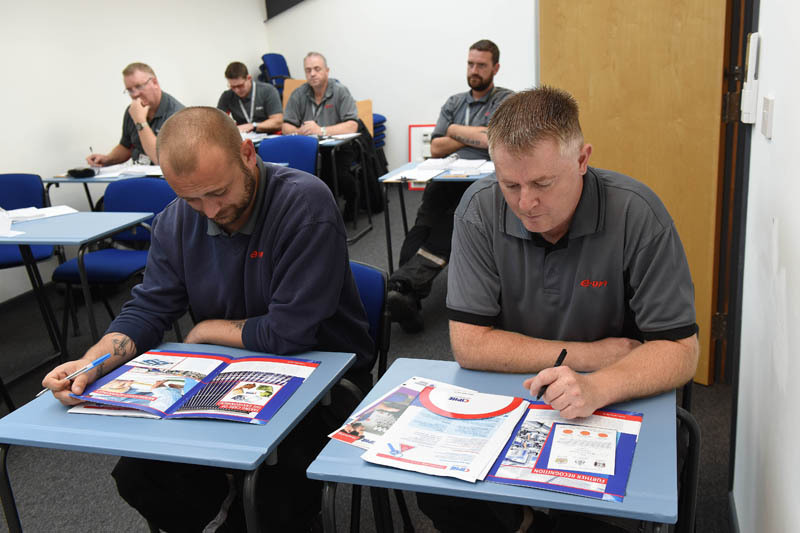 Encouraging debate to discuss a ‘license to practice’ is also a priority, given the fact that, with the exception of gas installers, anyone at the moment can establish a plumbing and heating business, regardless of relevant and supporting qualifications. With an ageing workforce across the whole construction sector, the need for more attractive routes into a career in the plumbing and heating industry has never been more important. We are working with CIPHE members in 2019 to drive more apprenticeship opportunities and to raise awareness of the trailblazer apprenticeship route, and the funding available through the apprenticeship levy to help train an apprentice too. It is worth noting that the whole of the CIPHE subscription is allowable for tax relief for members in the UK, and we will also provide a year’s free membership to any plumbing and heating industry apprentice who contacts us if they have been taken on by a CIPHE member’s business.